You need to determine if the release handle is pulling the release cable. If it isn’t, the hood release will not move. It could also be the hood latch itself, but not likely. With someone pulling the release handle, try pressing down on the hood and see if it opens, if so, the latch is out of adjustment. 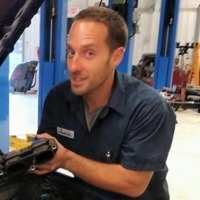 A qualified technician, such as one from YourMechanic can make the adjustment or determine the failure of the hood/door. Q: Hood release button not working. Q: Odometer reads just all dashes, main and trip the same. All other gauges seem to work. Q: Rodeo is losing all antifrezxe but is not running hot . Why ?